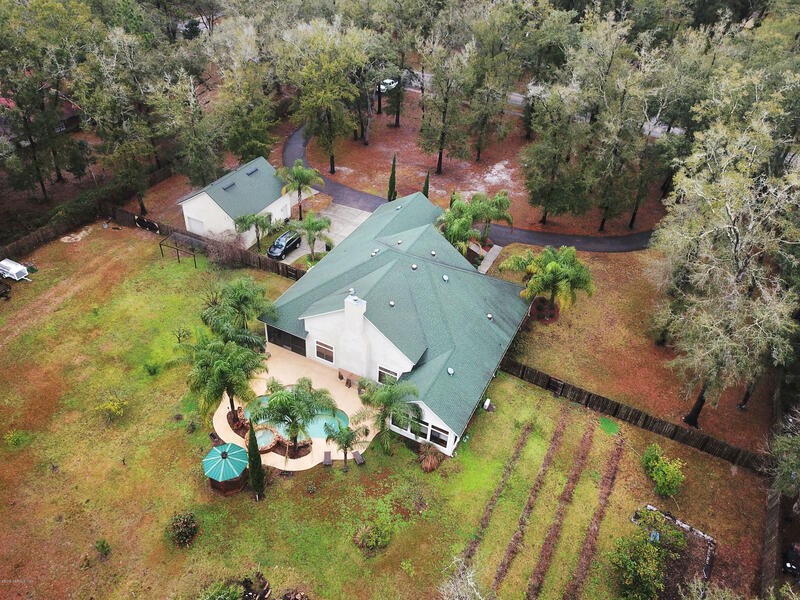 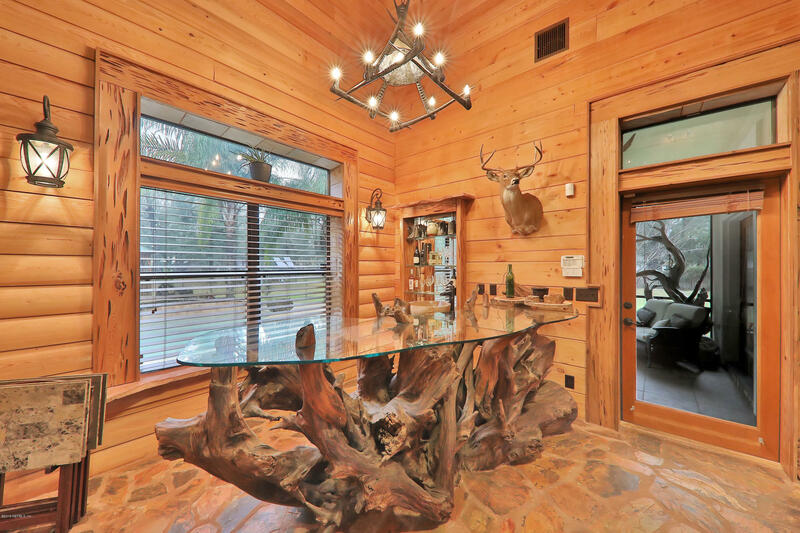 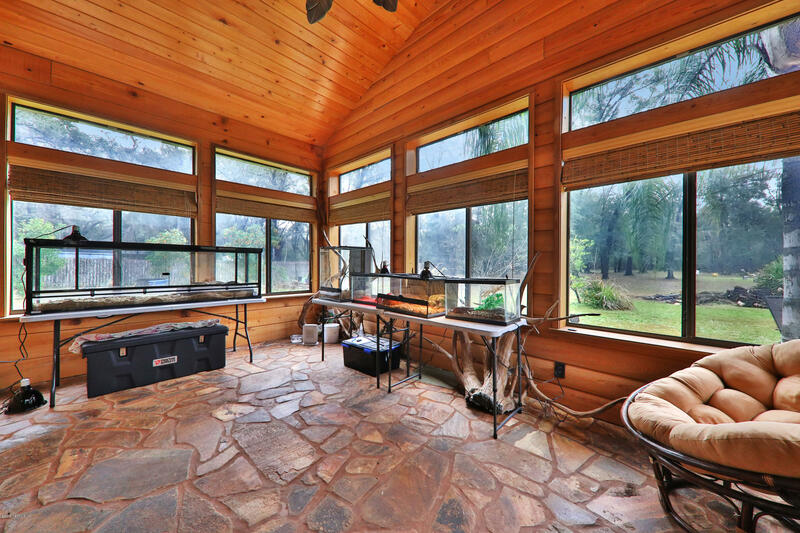 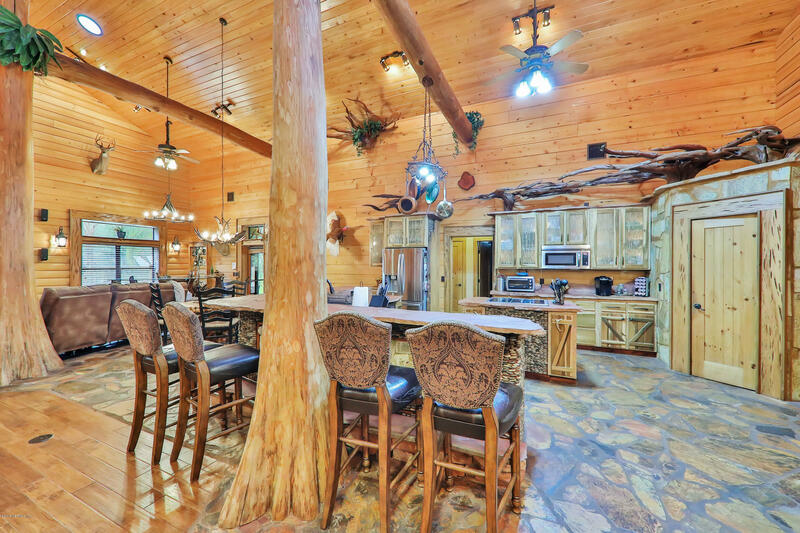 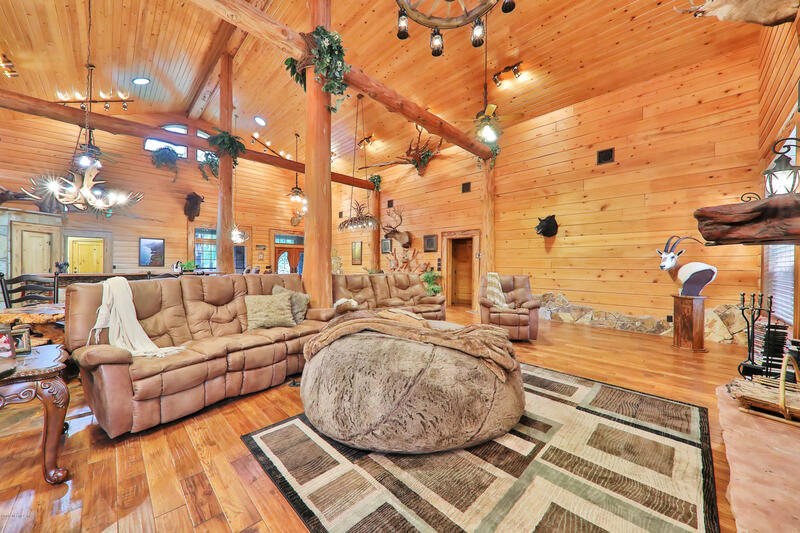 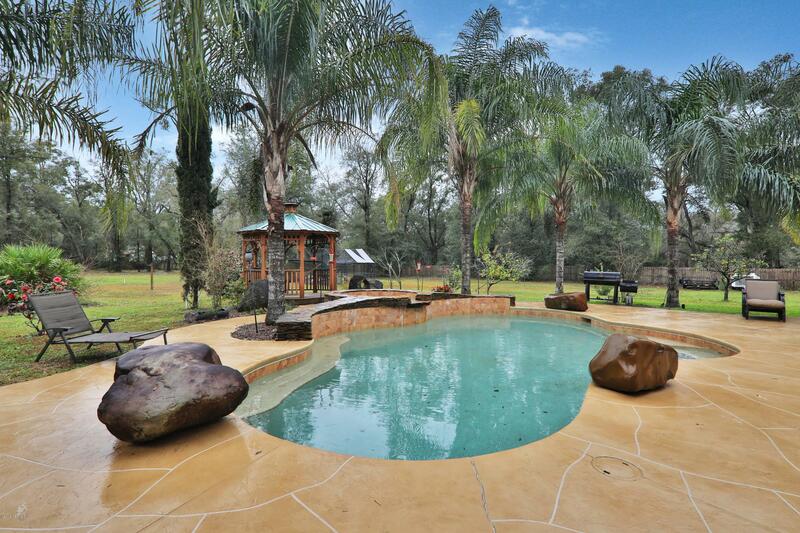 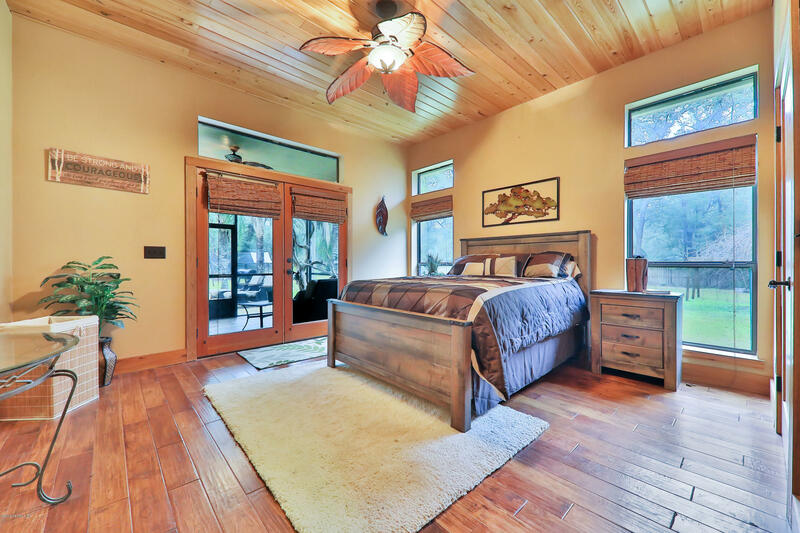 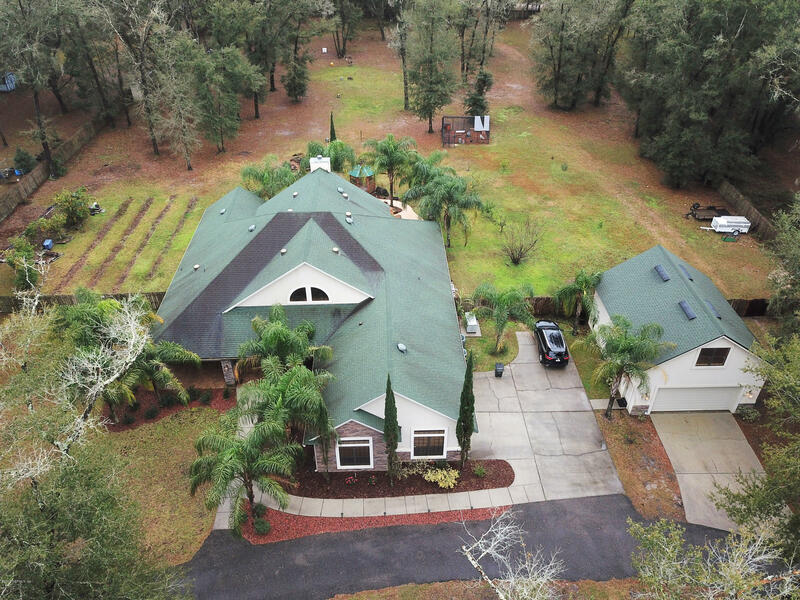 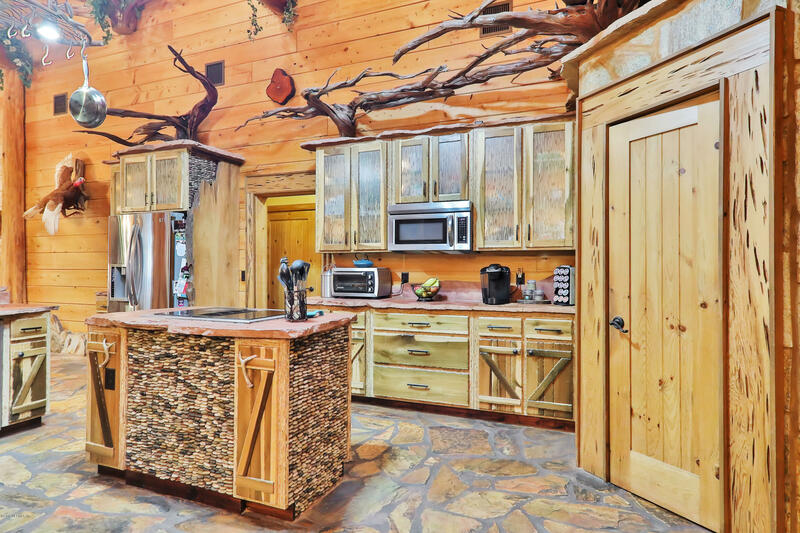 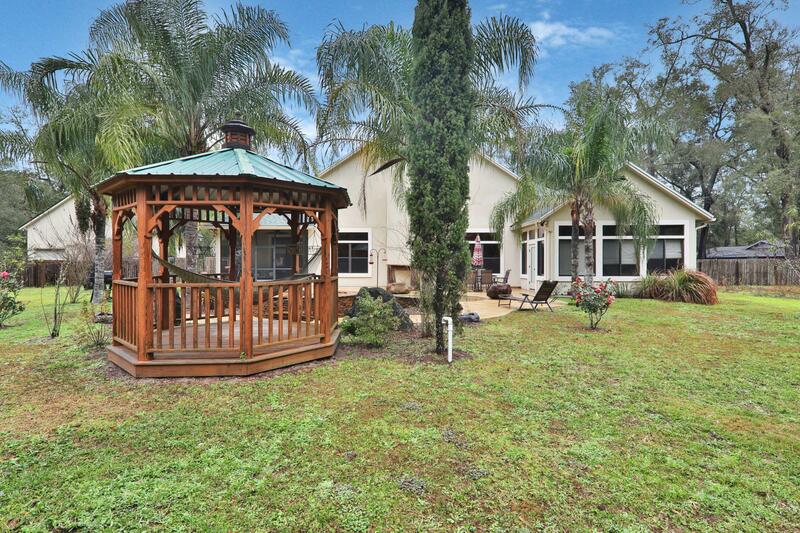 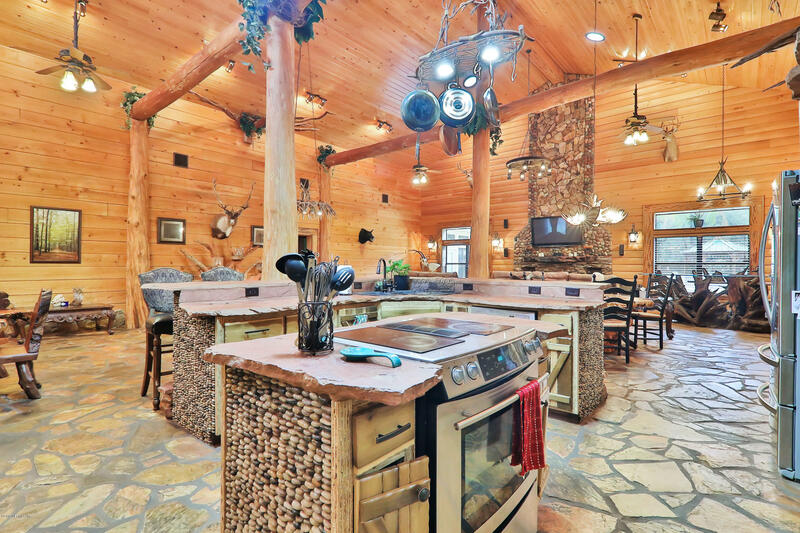 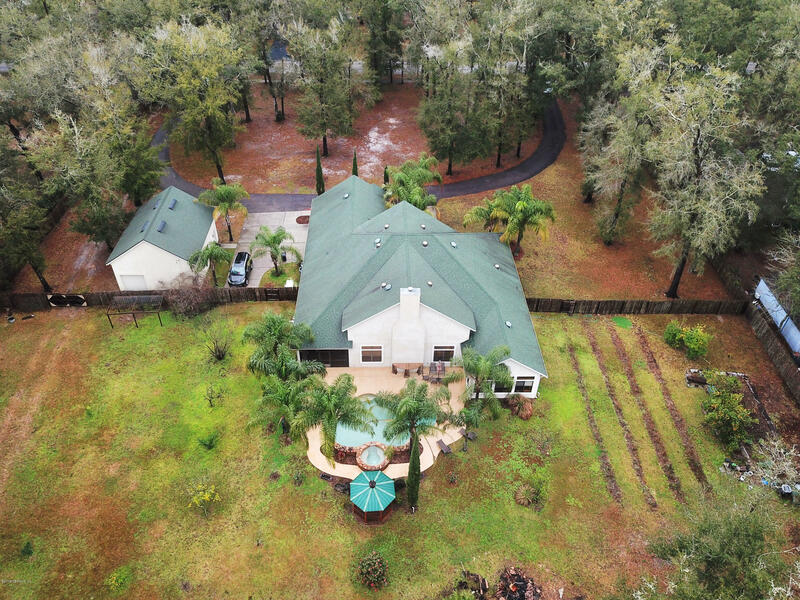 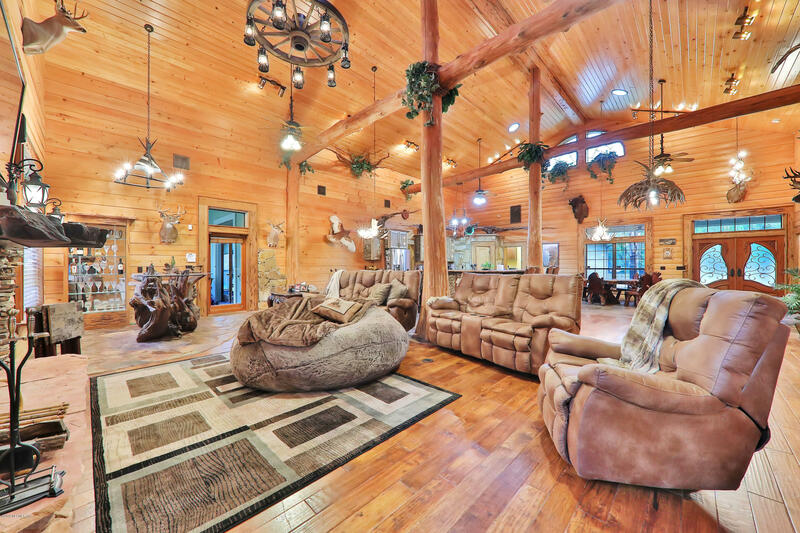 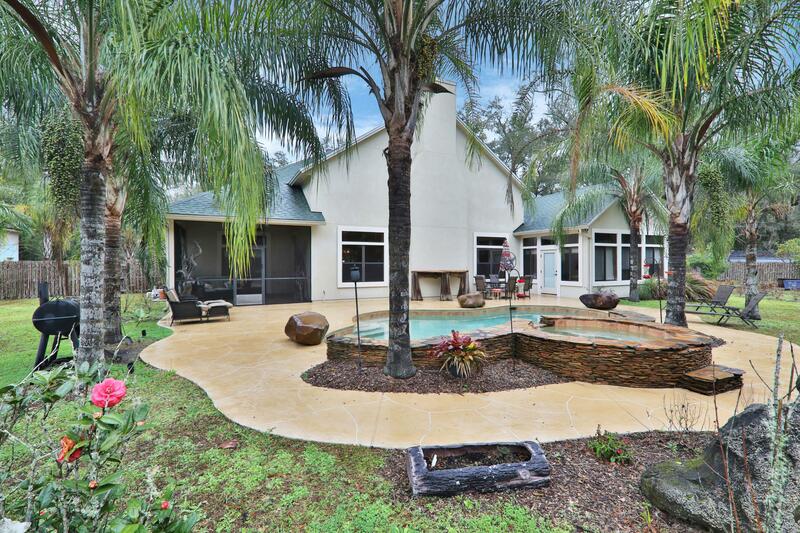 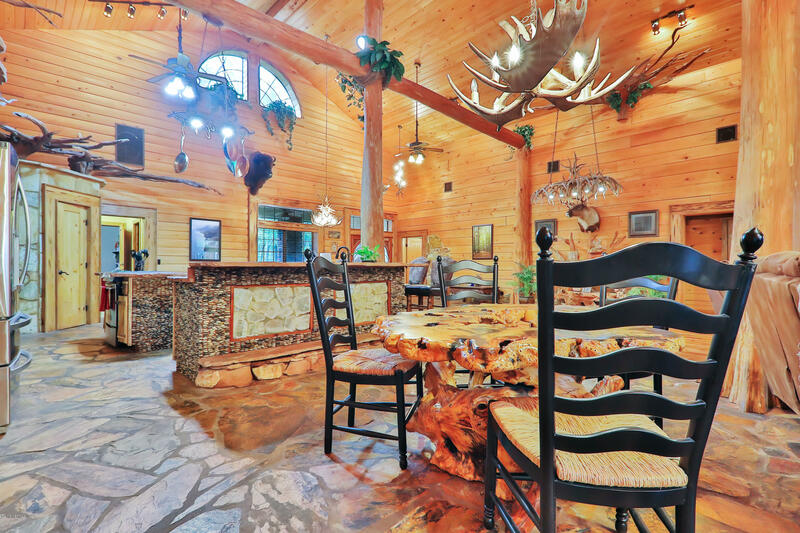 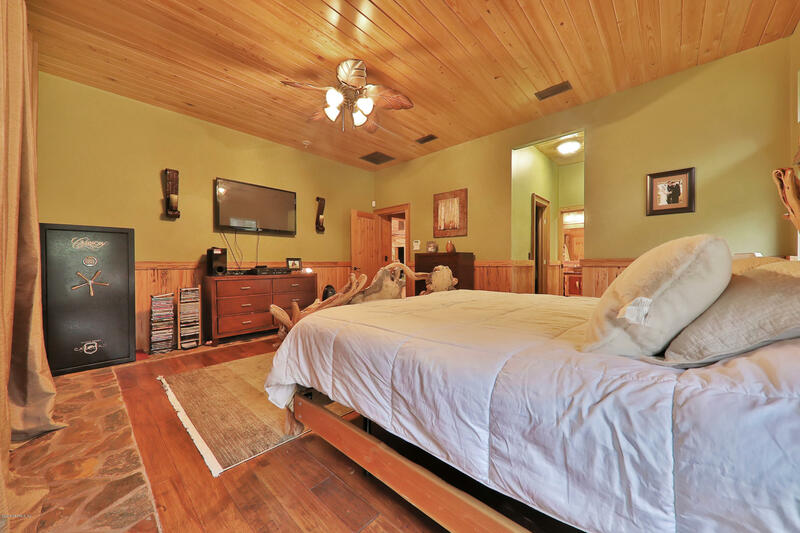 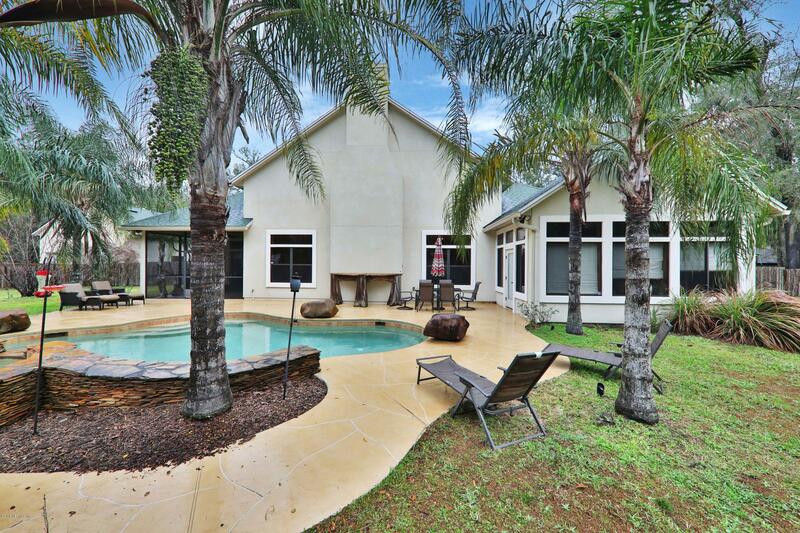 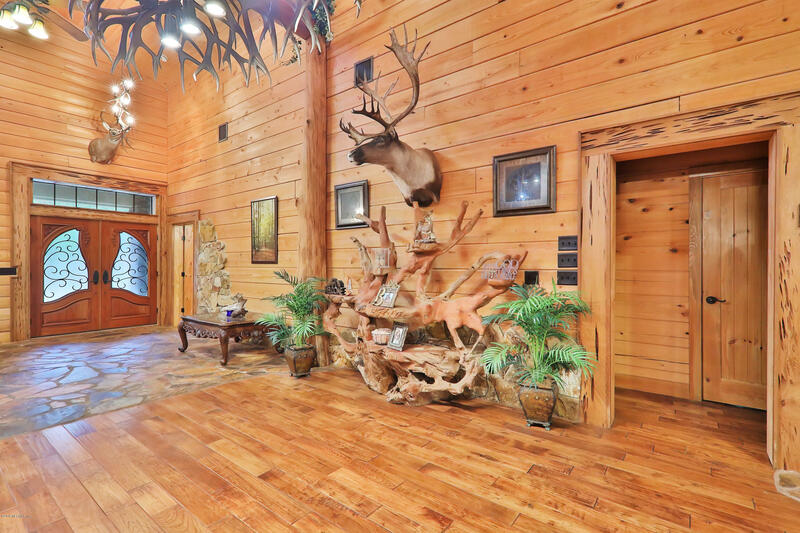 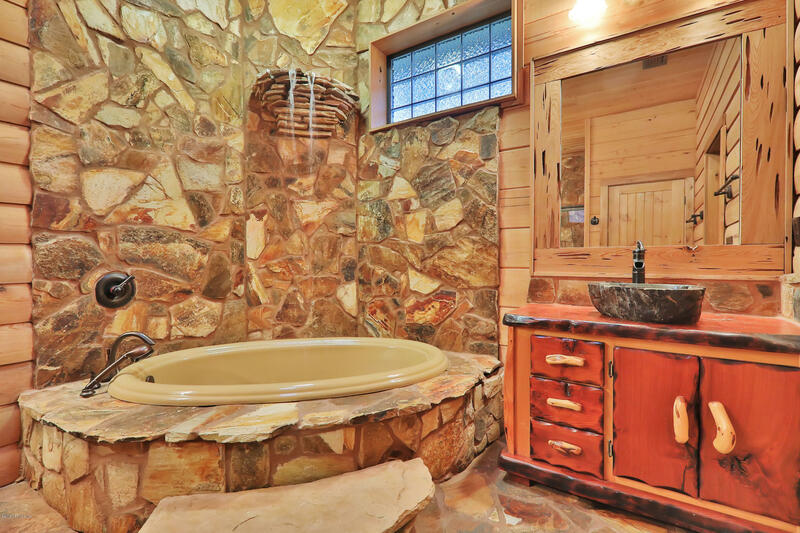 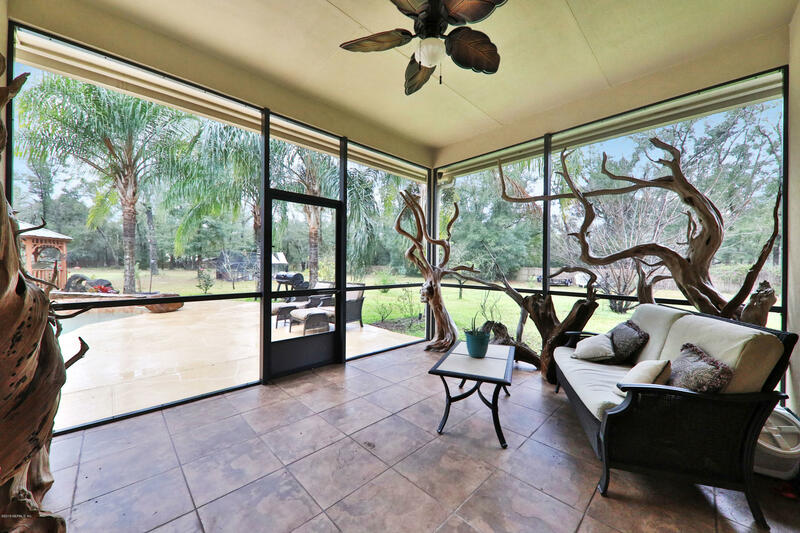 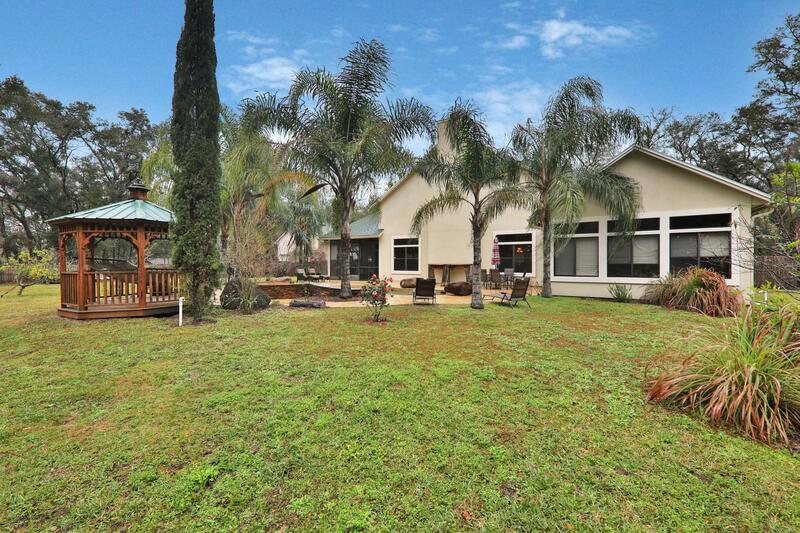 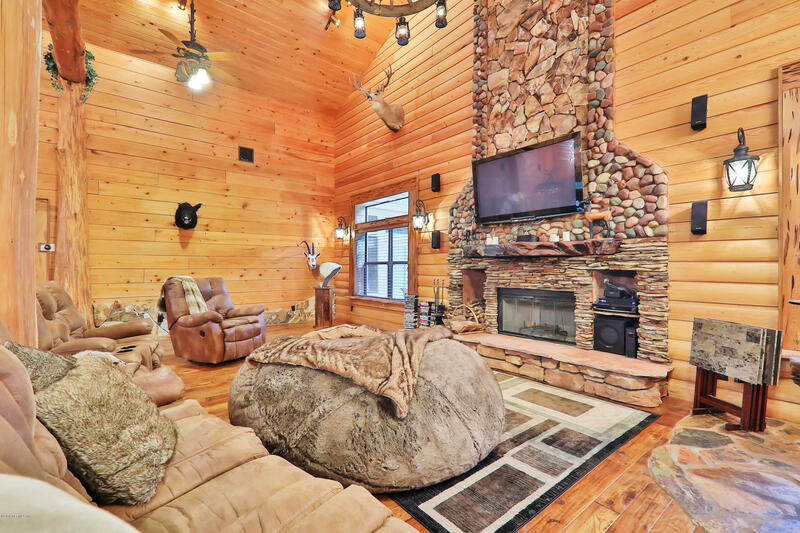 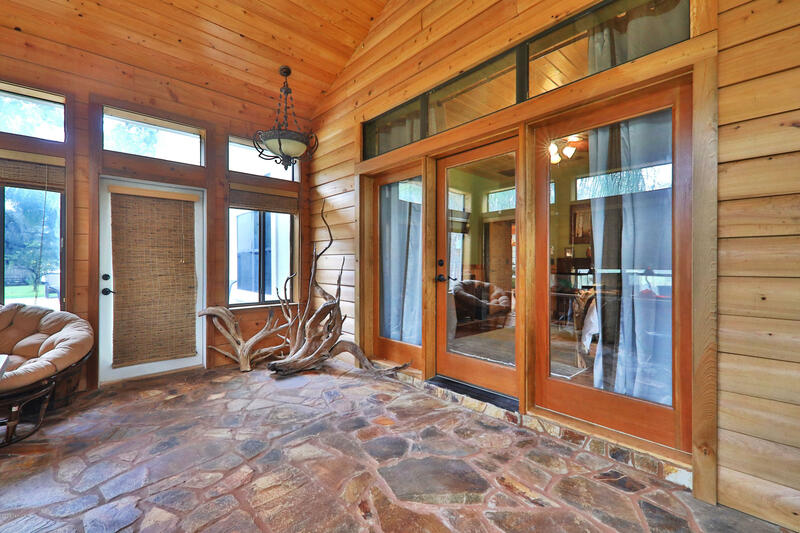 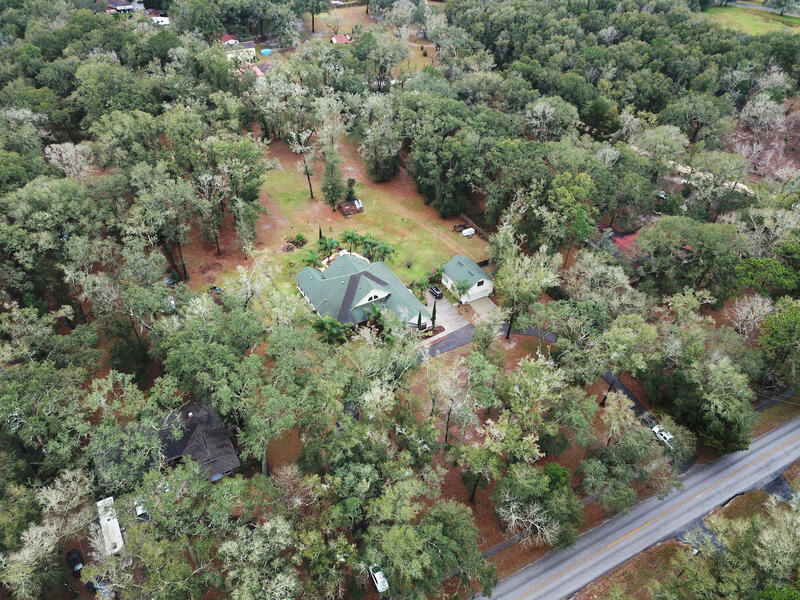 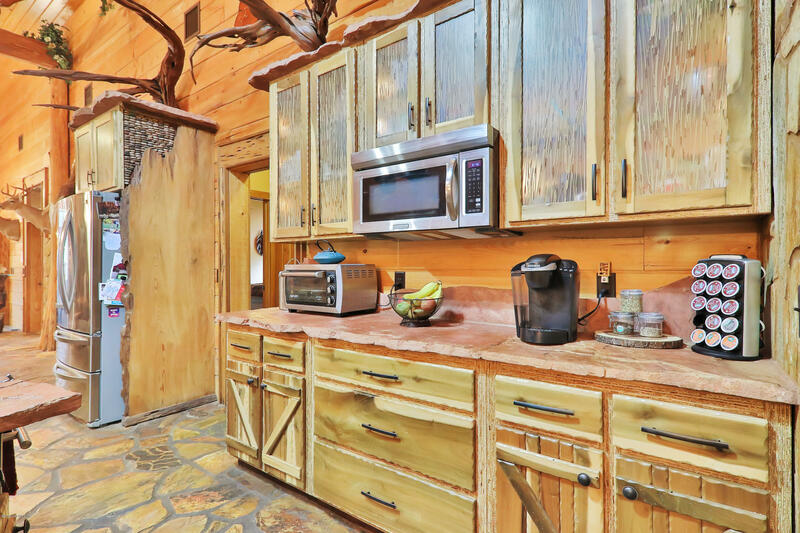 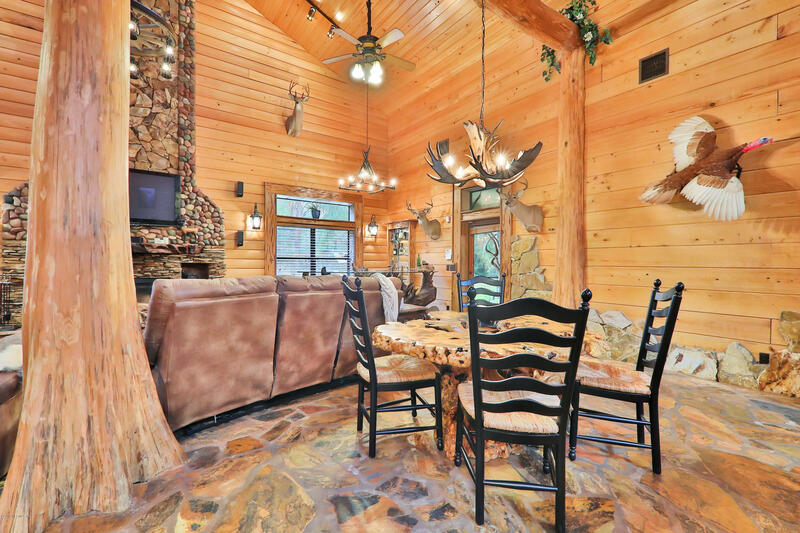 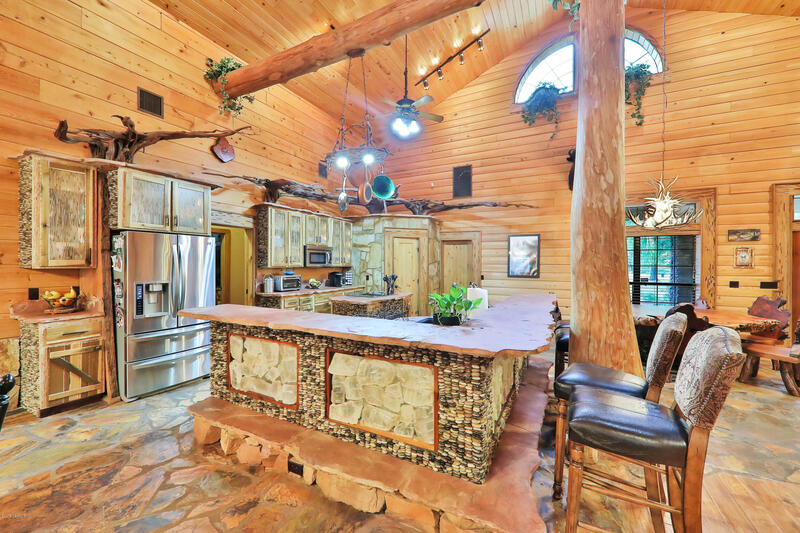 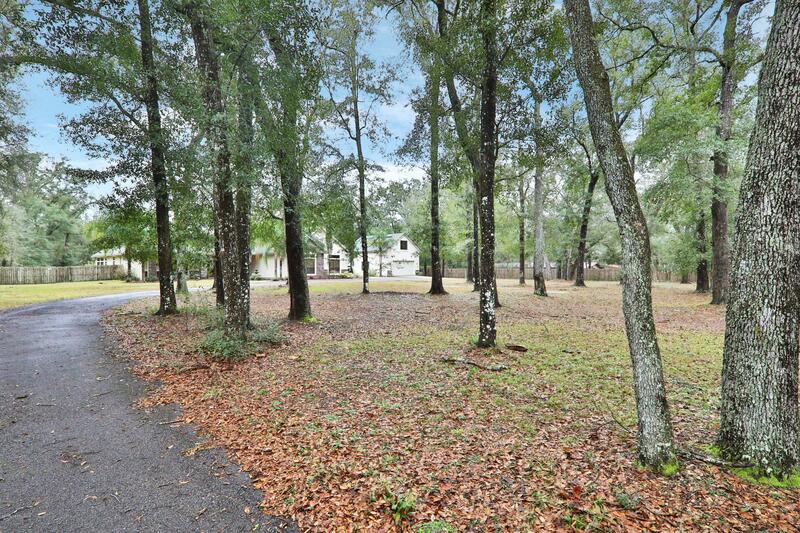 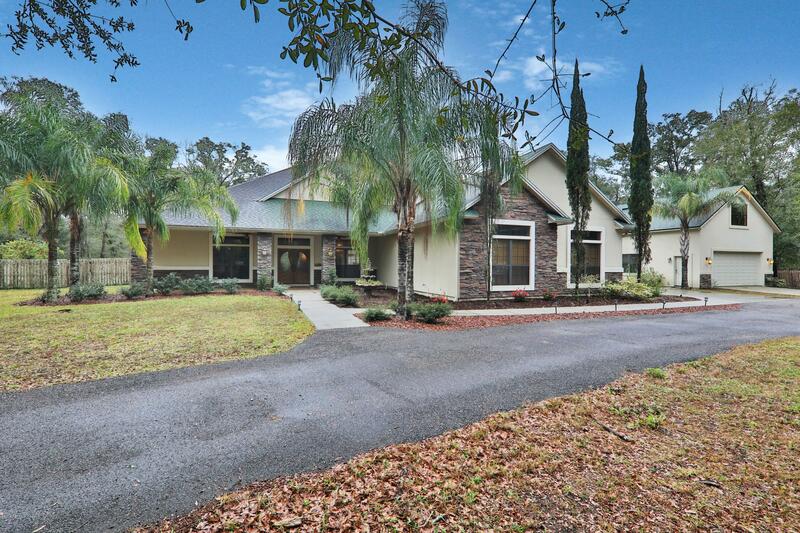 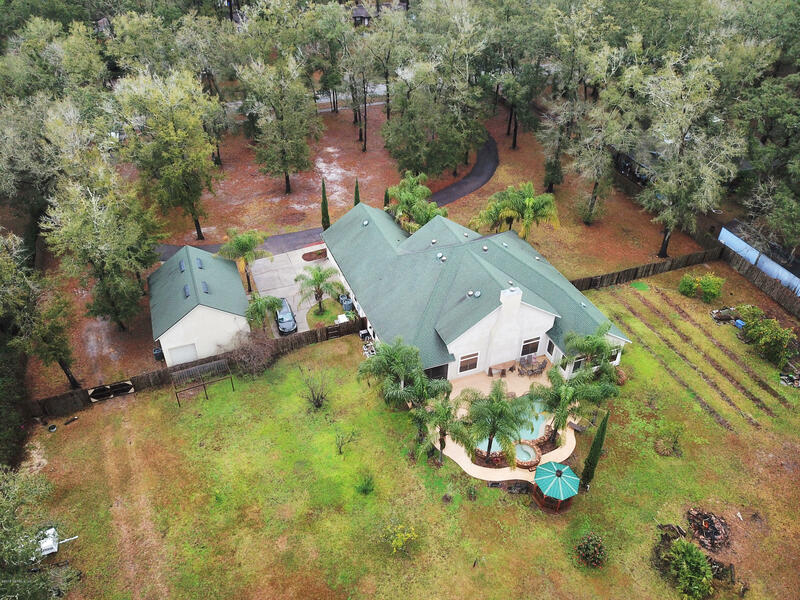 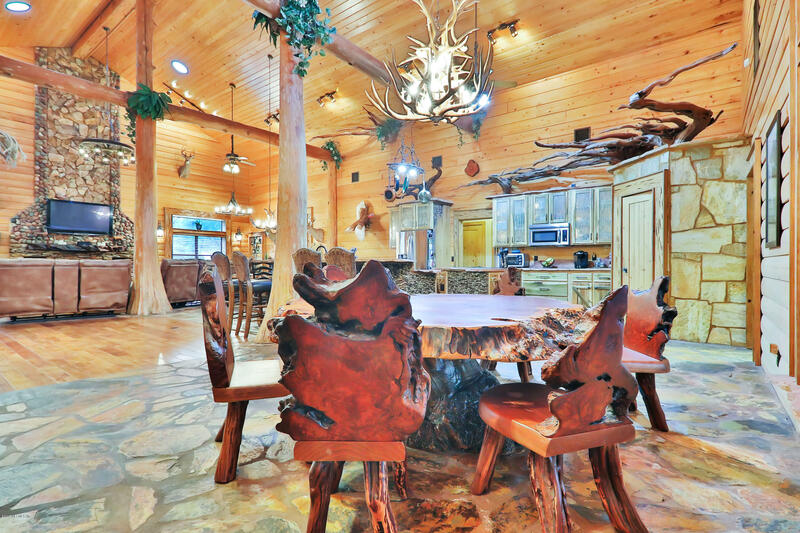 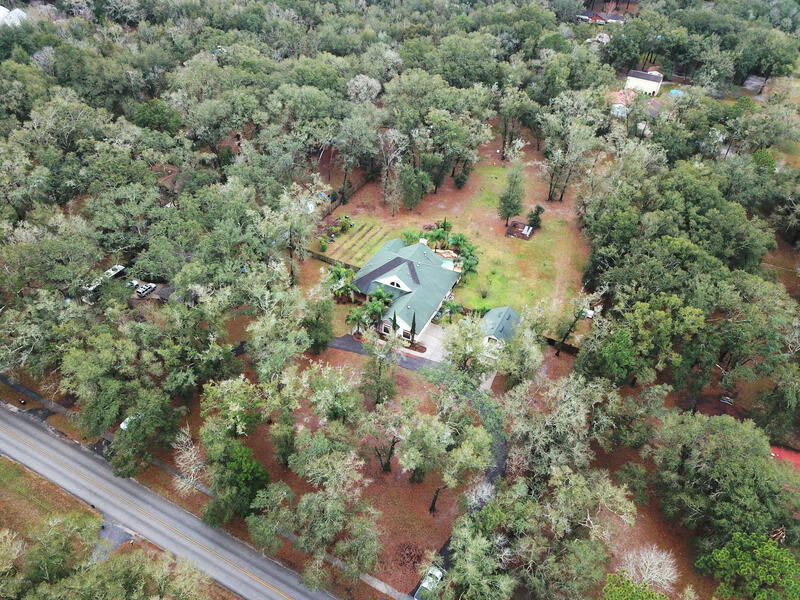 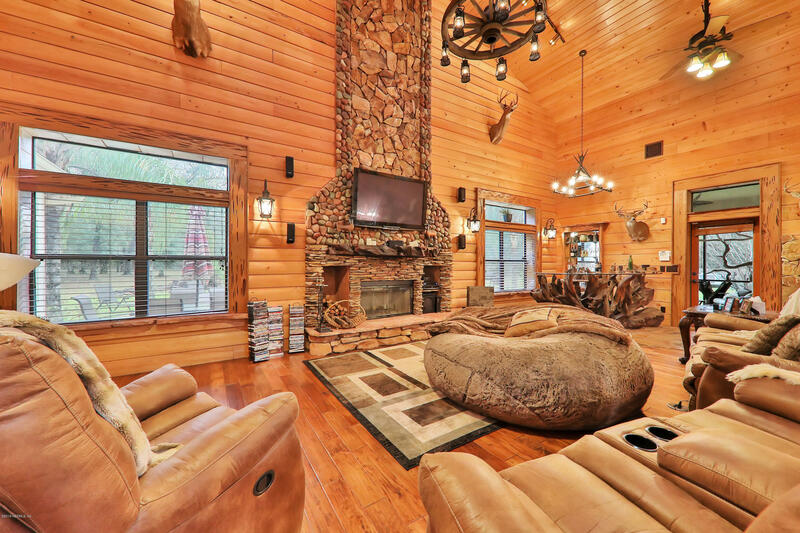 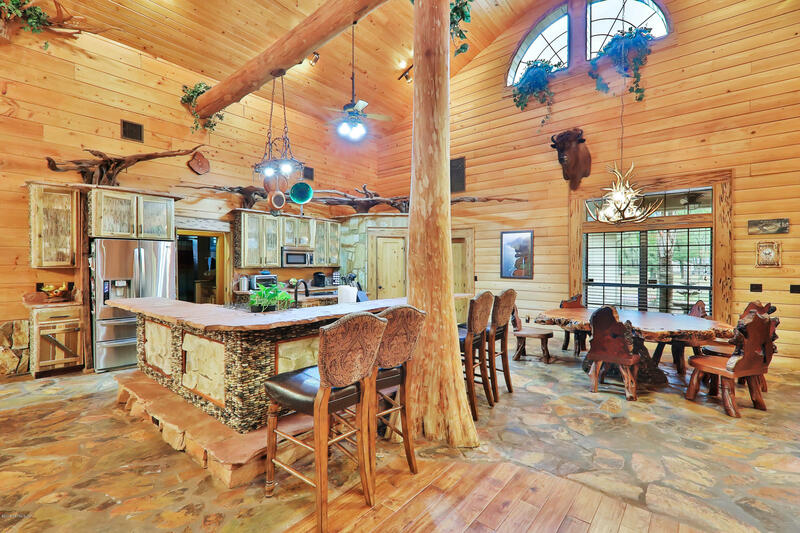 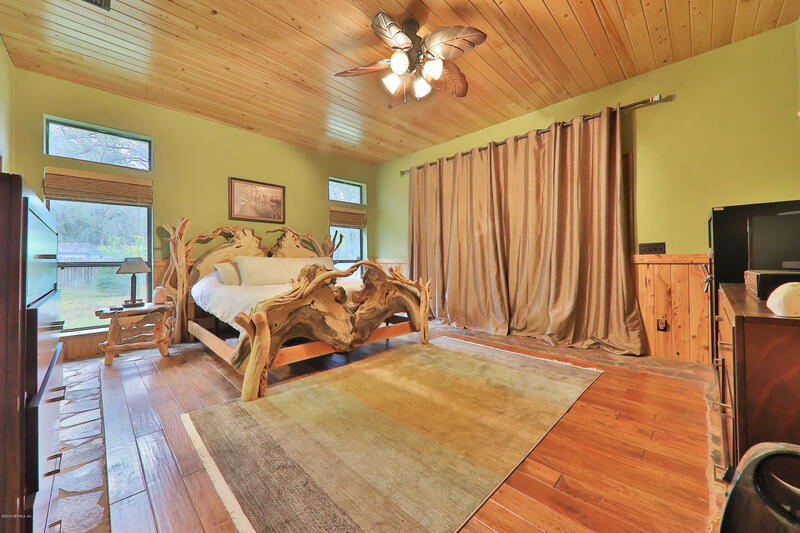 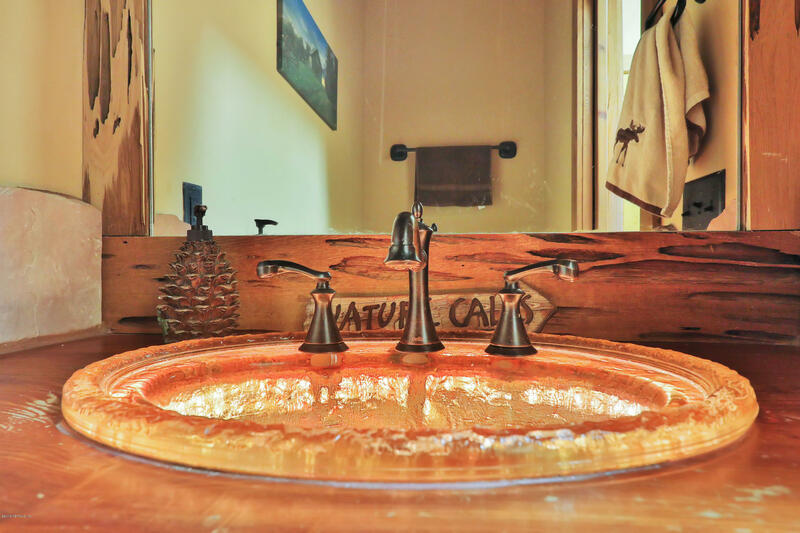 Rare opportunity to own a STUNNING luxurious rustic lodge style home on 3.38 acres. 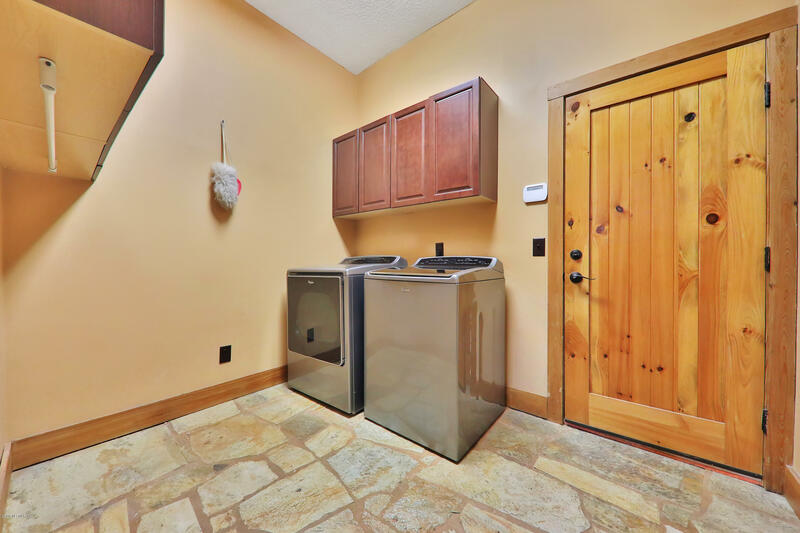 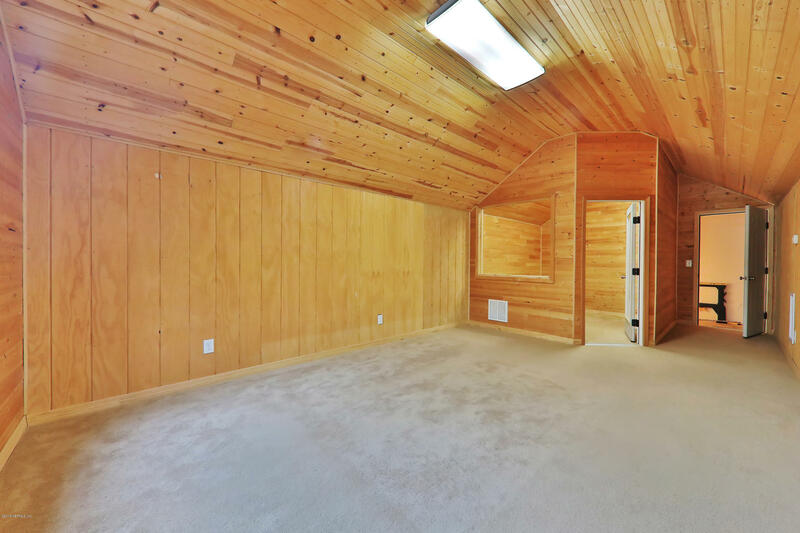 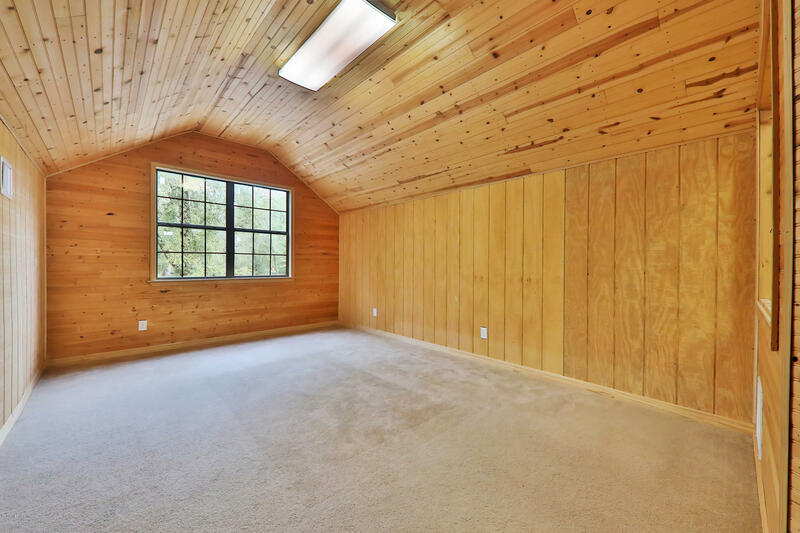 We’ve all seen those dreamy photos of cabin living and here’s your opportunity to live that dream. 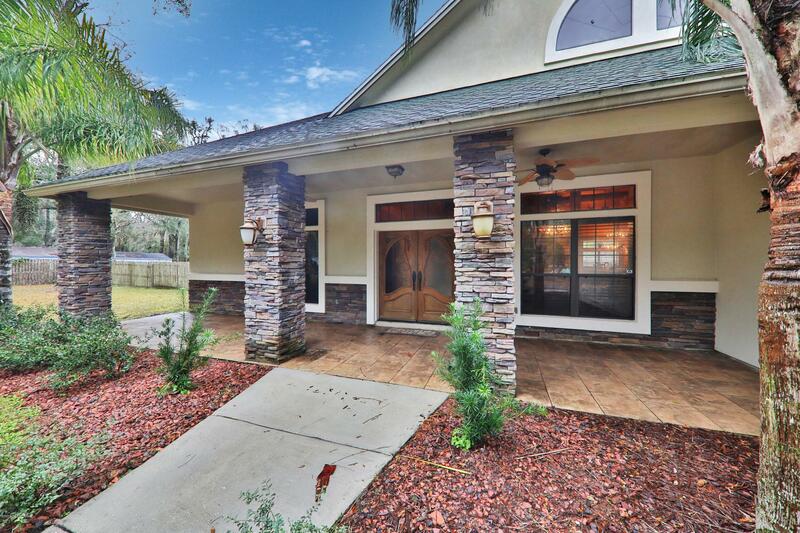 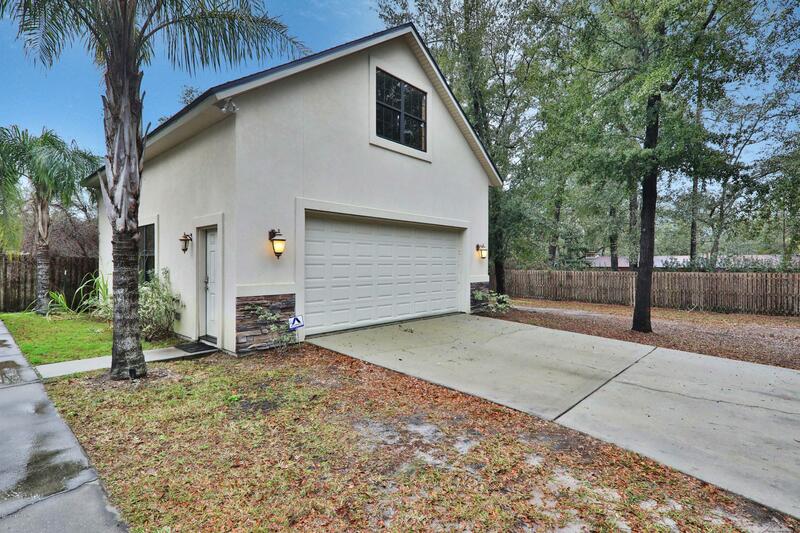 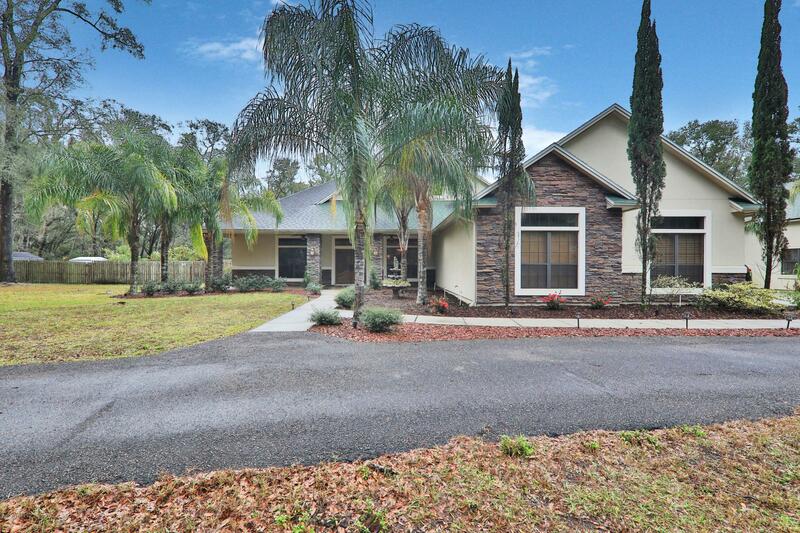 This home features over 4000 sq ft., 4 bedrooms, 3 bathrooms, and finished bonus room in detated garage. 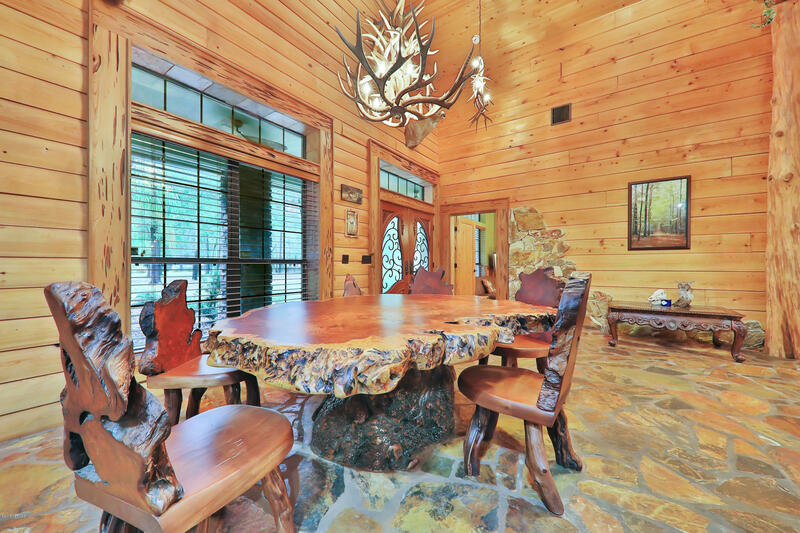 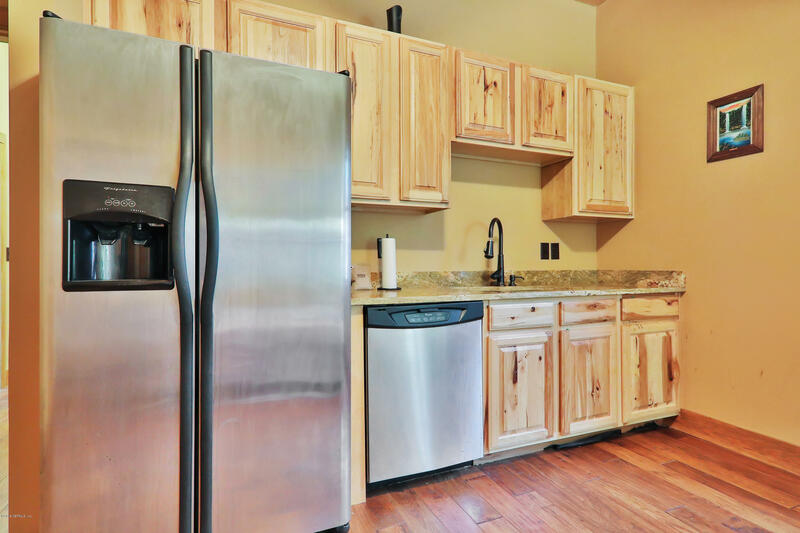 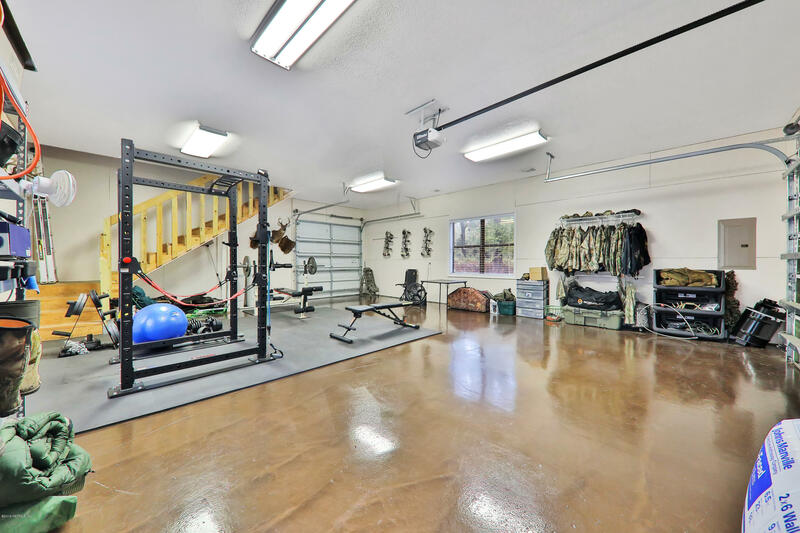 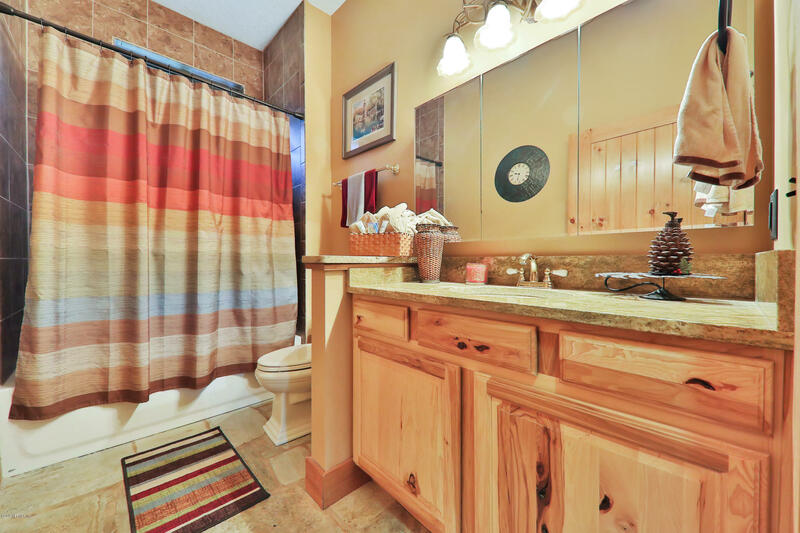 Home is custom built and features stunning wood-work throughout. 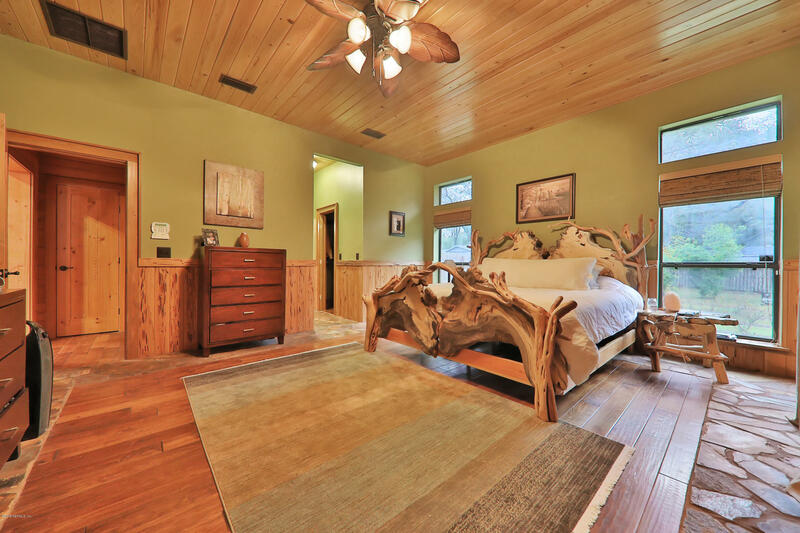 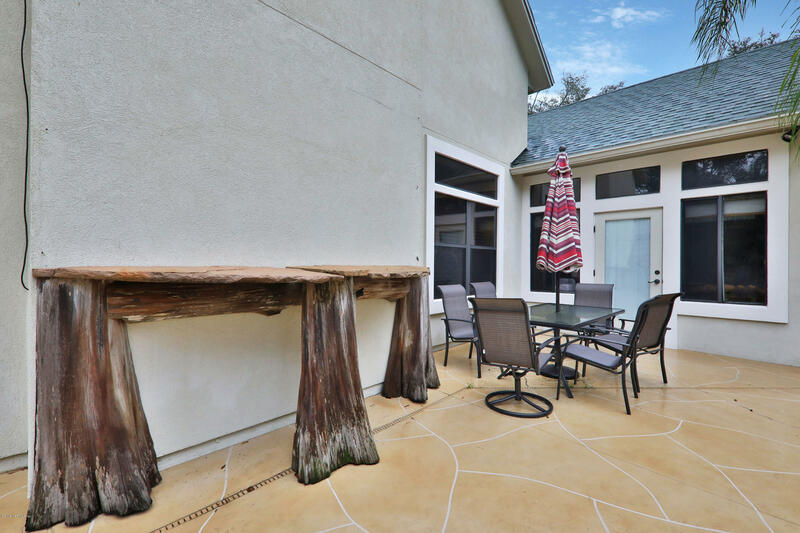 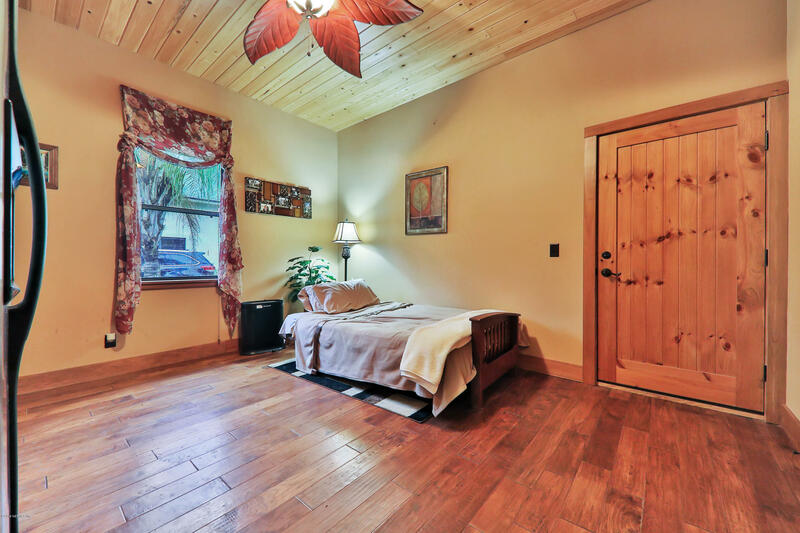 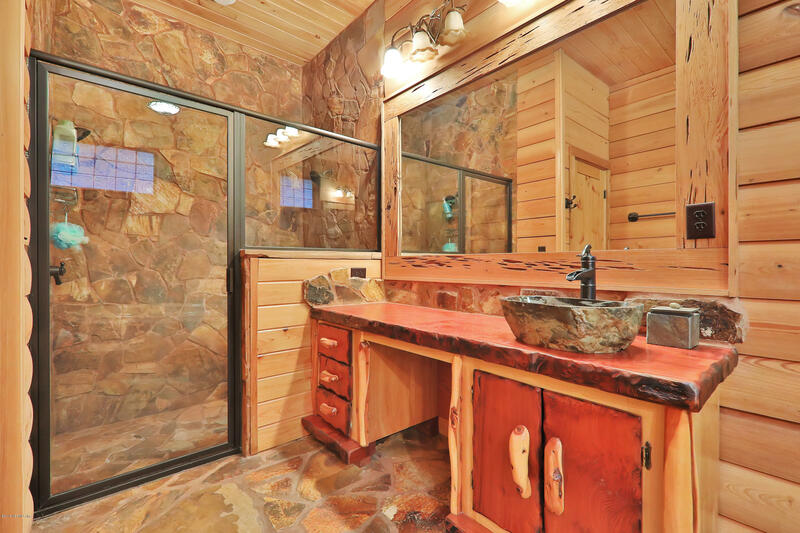 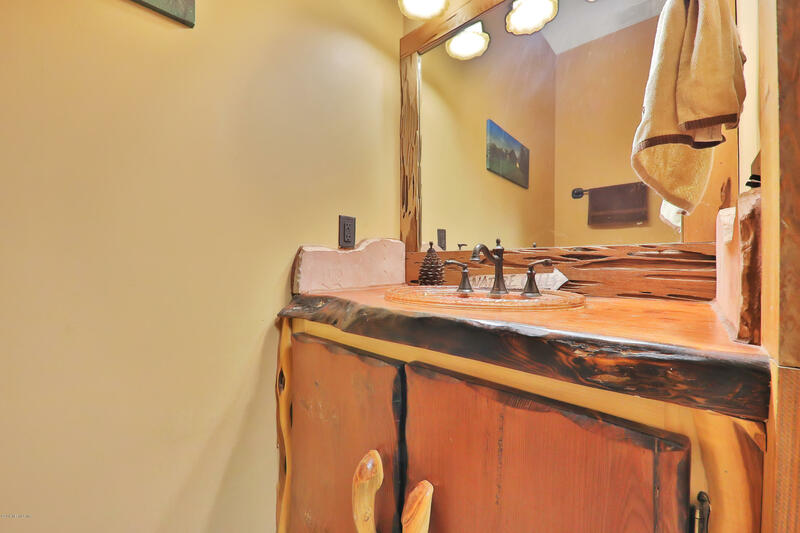 This is a rare find with walls constructed of cedar, actual cypress trees as support beams, wood and hand selected stone floors, handmade cabinets, rock shower and all highend finishes. 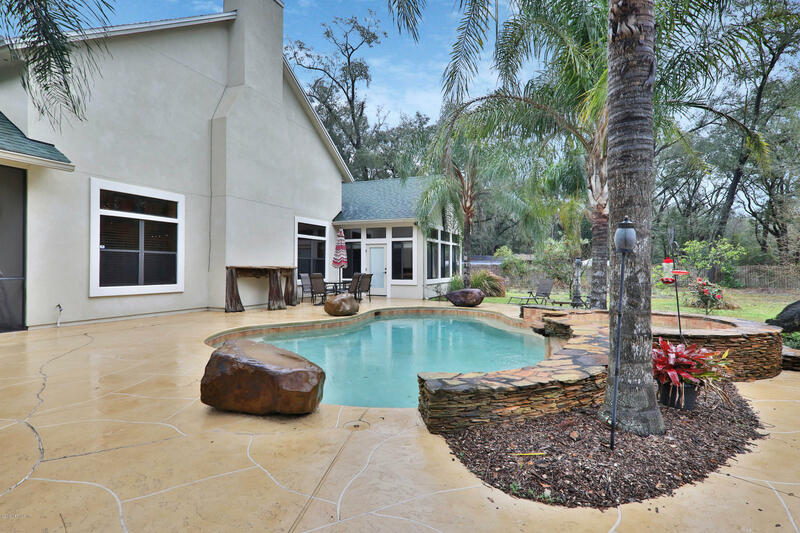 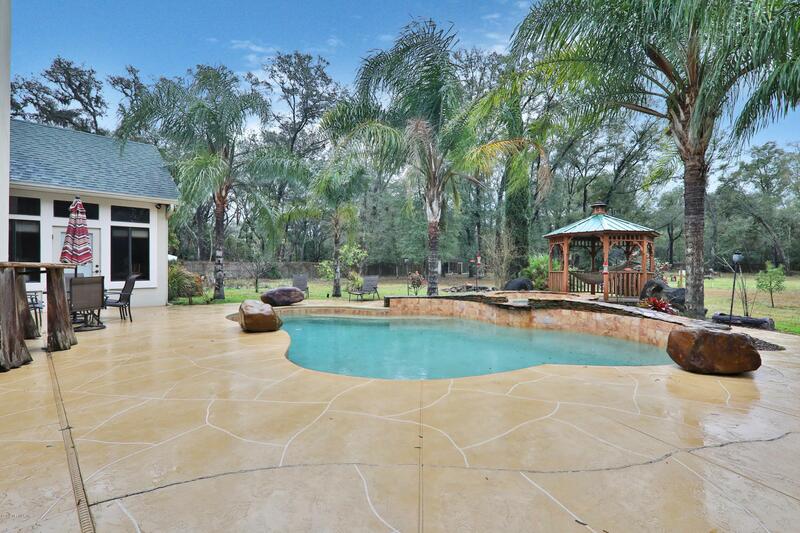 Backyard features a quiet tranquil setting of open woodland, oak trees and a beautiful salt water pool with 3 stone waterfalls. 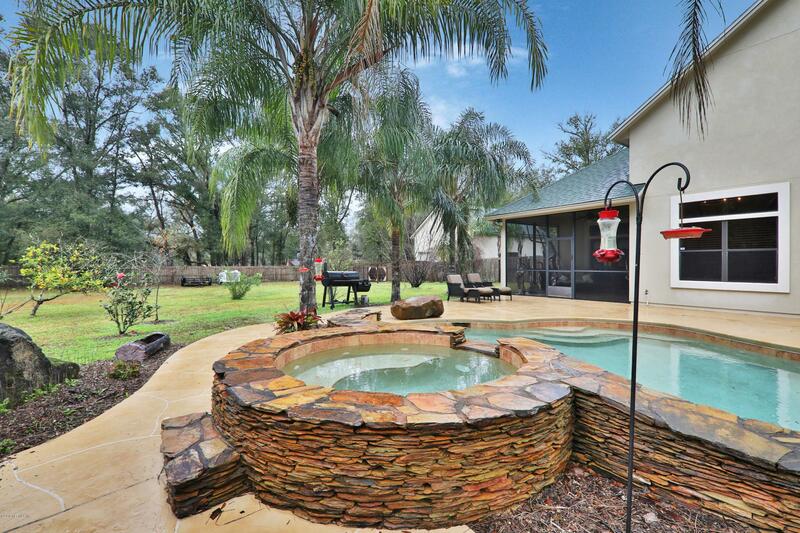 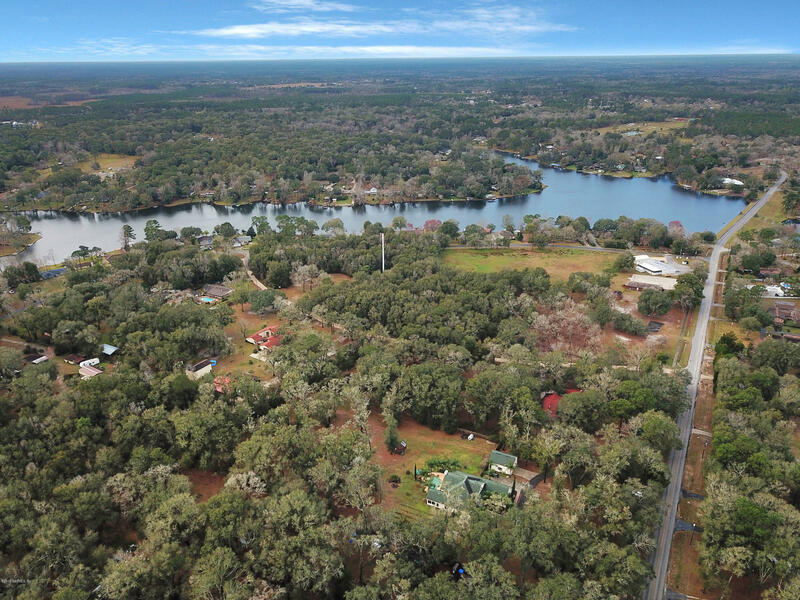 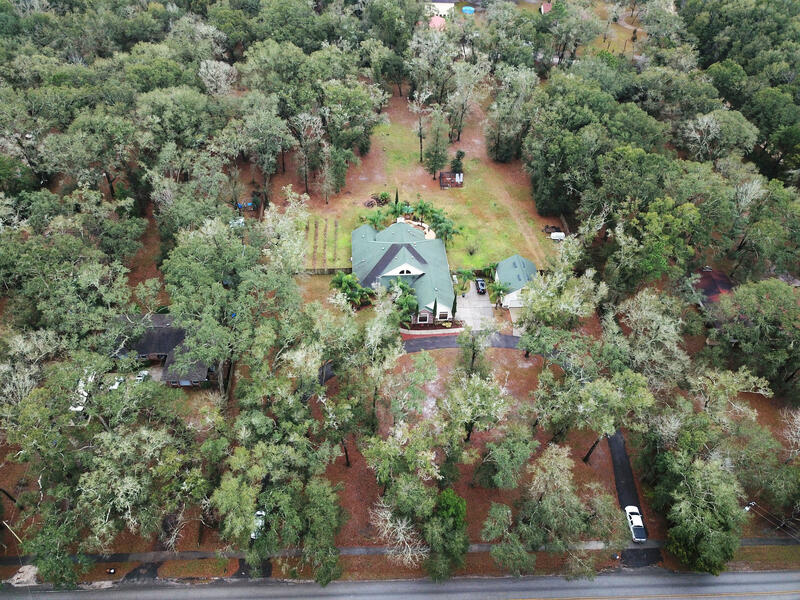 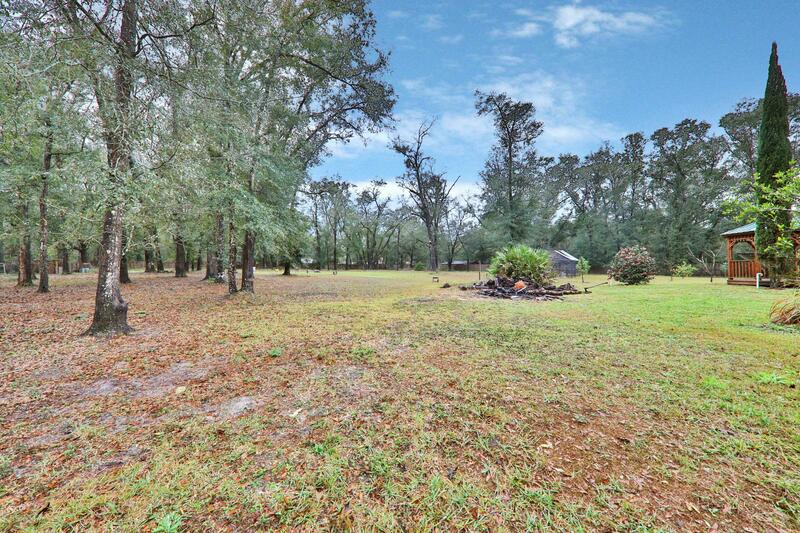 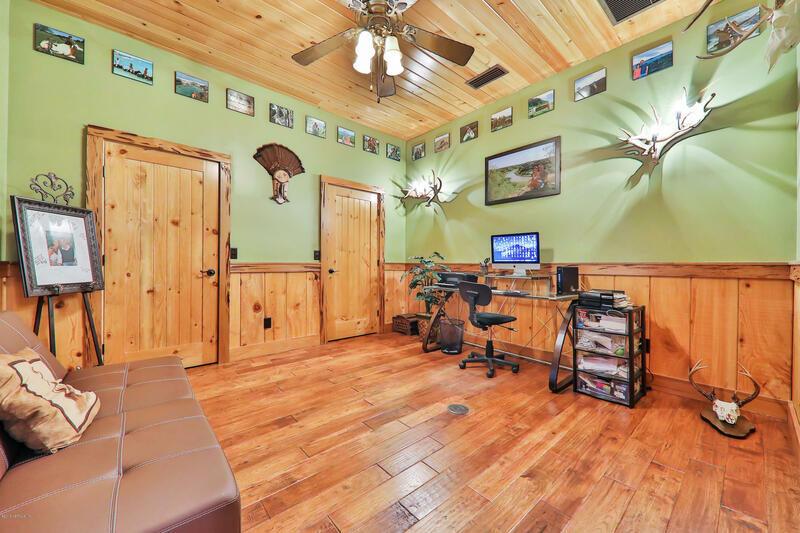 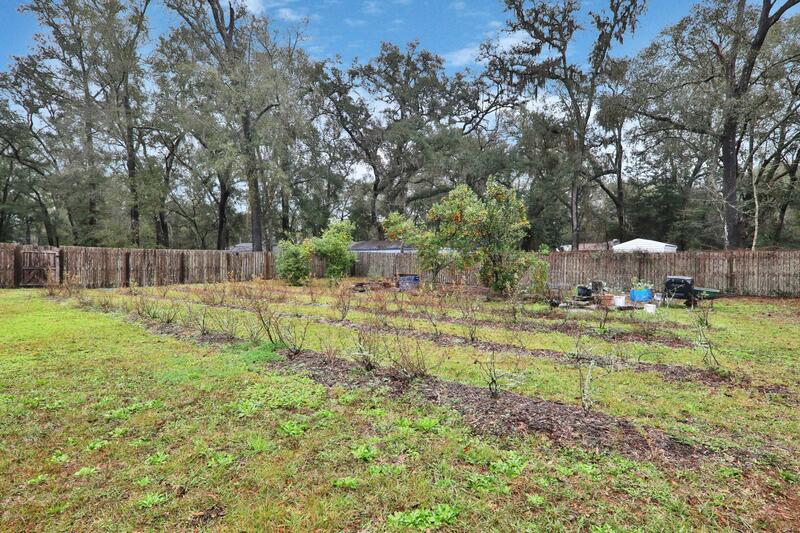 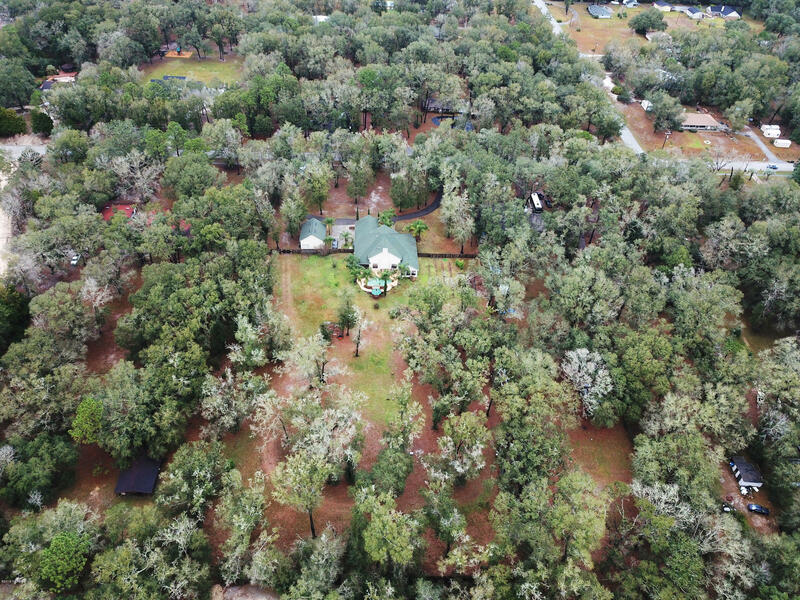 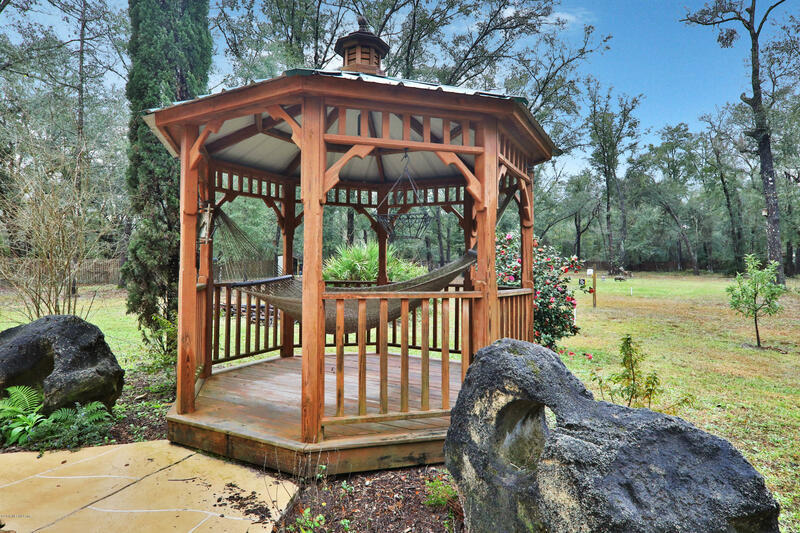 Bring your horses and enjoy country living with Lake Asbury less than 1/4 of a mile away. 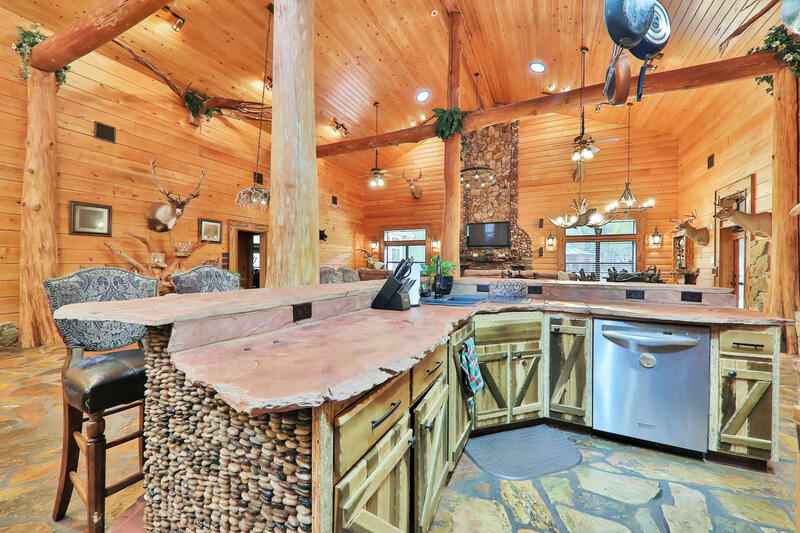 This home offers nothing but the best.